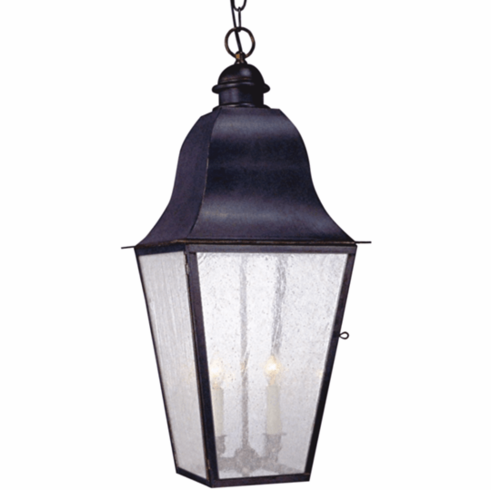 The Keene Pendant Hanging Copper Lantern, shown here in our burnished Dark Copper finish with Seeded glass, is a premium outdoor lighting fixture handmade in the USA from solid copper and brass. 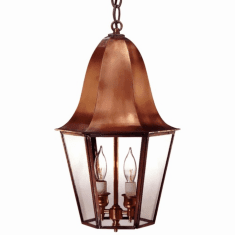 The solid copper and brass construction means it will never rust or corrode making this an ideal outdoor pendant light for Lakefront homes, Waterfront homes and damp locations. 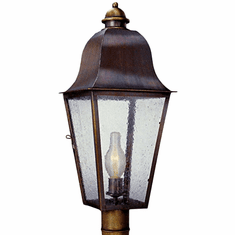 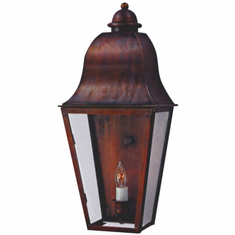 Designed to last for decades, this classic rustic Colonial hanging copper lantern works well as an entry, porch, patio or deck light with Colonial, Colonial Revival, Greek Revival, Neoclassical, Rustic, and Log & Timber style homes. 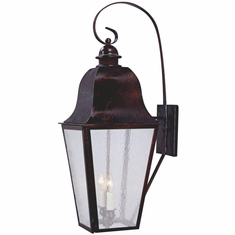 Based on authentic period lighting styles the Keene Pendant Hanging Copper Lantern is ideal for traditional and old houses.